Are you an Instagram influencer or NYC fashion blogger? Looking to update your social media feed with gorgeous lifestyle photos shot by professional photographers in NYC? Then you’re SO in the right place. 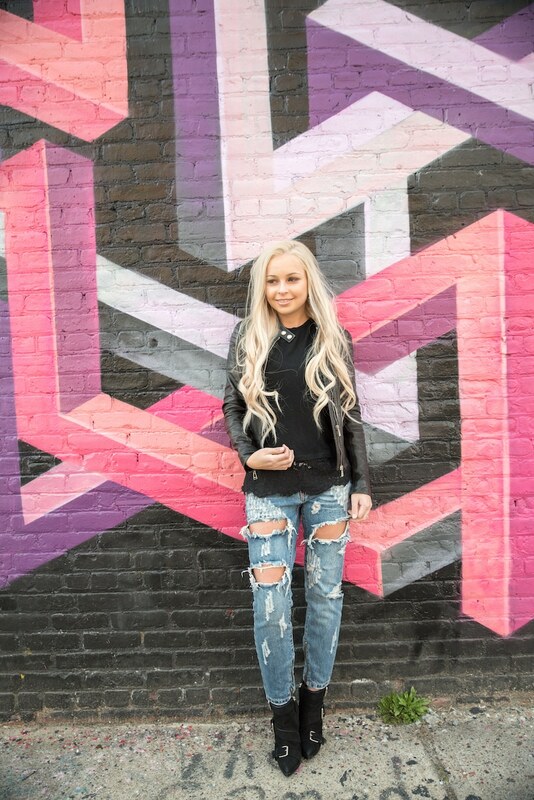 As an Instagram influencer herself under her personal @jessieonajourney brand, NYC Photo Journeys founder Jessie Festa knows what goes into successful Instagram influencer marketing. 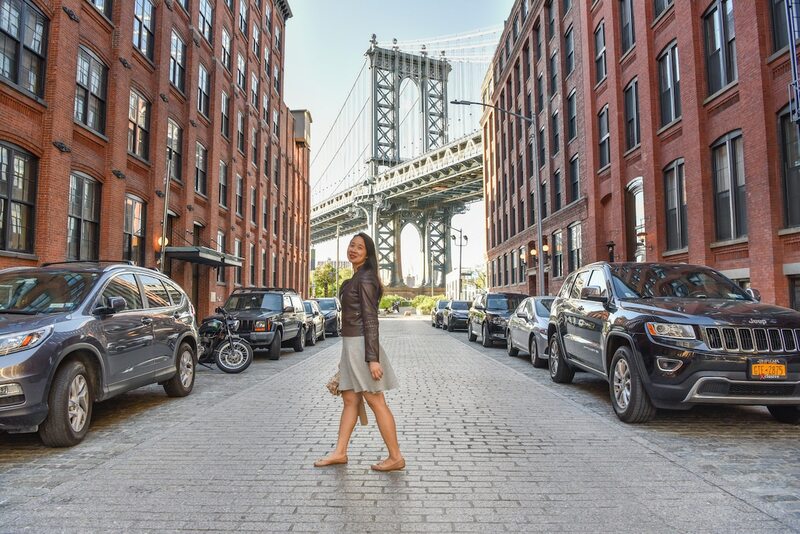 In terms of influencer photography in NYC, she not only knows the best photo shoot locations, but also how to create a captivating lifestyle story within an image. During the shoot, Jessie is happy to share her own proven strategies for landing paid Instagram and blogger campaigns, too! A 2-hour private NYC photo shoot with edited photos included. With this package, all photos will be edited in three styles, including black and white, natural and a third style of your choice. You can show Jessie sample images to give her a feel of the style you’d like the photos edited in. A 2-hour private NYC photo shoot with unedited photos. You’ll supply the SD card — or purchase one from us for $10 at checkout — and we’ll give you the SD card at the end of the shoot to take home. Jessie typically shoots in RAW for the best editing capabilities, which requires an editing program like Lightroom or Photoshop; however, if you’d prefer JPG images just let her know. When checking out, you’ll be given a few different location options, though these can easily be customized at no extra charge. Jessie has been photographing influencers (and non-influencers) around NYC for over four years. Moreover, she’s a native New Yorker and local, so these suggestions are based on extensive knowledge of the destination. That being said, if you have something else you’d like, we can customize the locations at no extra charge. Route #1: Central Park / Upper East Side / Brooklyn Bridge. This classic itinerary showcases the best of NYC while also giving you a diverse array of shots, from gorgeous landscapes to historic architecture. Route #2: Central Park / Upper East Side / Bushwick. A bit of classic New York; a bit of funky Brooklyn through Bushwick street art. Route #3: Brooklyn Bridge / Dumbo / Brooklyn Bridge Park. A whimsical Brooklyn-focused itinerary mixing iconic scenes, historic bridges, cobbled streets, beaches and the Manhattan skline. Route #4: Williamsburg Waterfront / Williamsburg / Bushwick. On this route, we’ll explore one of NYC’s hippest neighborhoods, with options to stop in Instagram-worthy cafes and boutiques, capture the Manhattan skyline, and experience Brooklyn’s most spectacular murals. Q: What if I want to add more time to my shoot? Not a problem! When booking your shoot, there is an option under “add ons” to add an additional hour of shooting time for $125 (unedited shoots) or $200 (edited shoots). Q: Are the suggested routes fast-paced? We’ll have plenty of time to get gorgeous shots of you in each location. That being said, if you’d like extra time in any one location on the route, such as to visit a cafe for shots, we can certainly accommodate. Just note that that means you’ll need to spend less time in another location or purchase an additional hour of shooting time. Q: How many photos are included in my shoot? 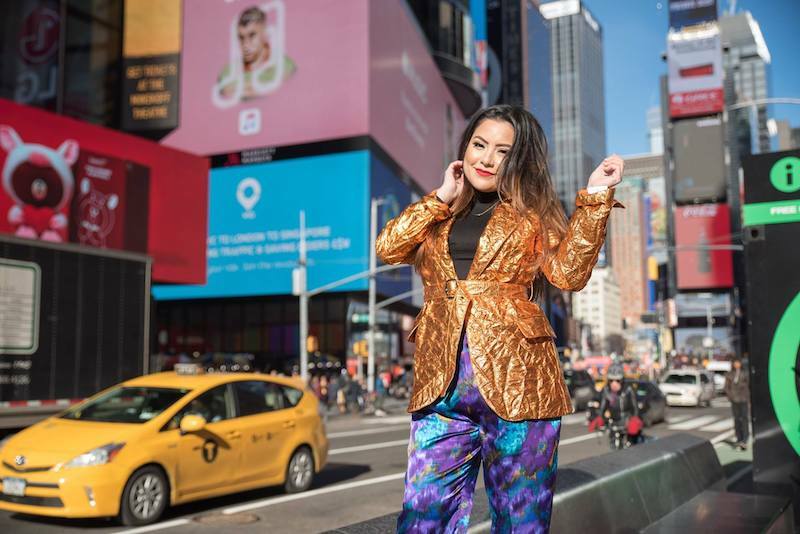 Most two-hour NYC influencer photo shoots end with 100-150 photos (unedited photos) or 300-450 (edited, included three sets of each other edited differently). Q: What is the difference between the NYC Influencer Photo Shoots and your Private Photo Journeys, which also include photos? Our NYC Photo Journeys are for tourists and locals looking to explore NYC and leave with fun photo memories to keep. Guests for this experience aren’t necessarily looking to grow an online presence, and there are no outfit changes between locations. Instead, they’re looking to preserve memories and print photos for their wall frames and photo albums. 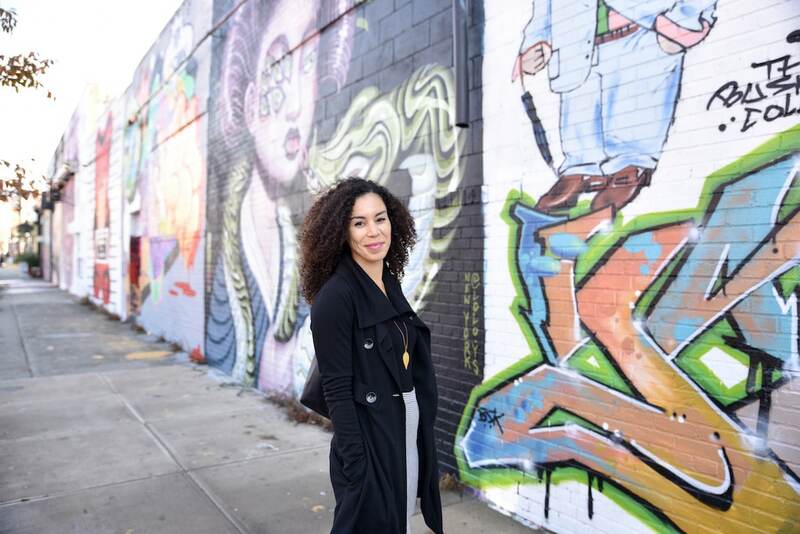 With the NYC Influencer Photo Shoots, the focus is solely lifestyle photos. There isn’t a tour included, but instead the goal is snapping loads of high-resolution photos that will help increase your Instagram following and engagement. Plus, you can get these photos edited in three different styles. Additionally, as Jessie is an Instagram influencer herself with 30,700+ organic followers and counting, you’ll be able to talk shop about growing on the platform and landing paid brand campaigns. Our team is most responsive via email, so please send your message to [email protected] You can expect a response within 24 hours, usually much sooner. Ready to upgrade your Instagram feed with shots from gorgeous locations around NYC?